There are 33 Assisted Living Facilities in the Westmont area, with 2 in Westmont and 31 nearby. The average cost of assisted living in Westmont is $4,290 per month. This is higher than the national median of $3,346. To help you with your search, browse the 272 reviews below for assisted living facilities in Westmont. On average, consumers rate assisted living in Westmont 4.5 out of 5 stars. Better rated regions include Hinsdale with an average rating of 5.0 out of 5 stars. Caring.com has helped 5 families in Westmont find high-quality senior care. To speak with one of our Family Advisors about assisted living options and costs in Westmont, call (855) 863-8283. The village of Westmont is a diverse community of six square miles that beautifully blends old gridiron streets with newer developments. Conveniently located 22 miles west of the Chicago loop, it has plenty to offer seniors searching for assisted living options. In fact, a significant 16.8 percent of Westmont residents are age 65 and older. To help accommodate this senior population, there are two assisted living communities in Westmont and an additional 29 in neighboring towns. These communities provide a valuable alternative for seniors who need some support with personal care, medication management and daily activities, but do not require skilled nursing care. In Westmont, and the rest of Illinois, assisted living facilities are overseen by the Illinois Department of Public Health. The cost of living in Westmont is about 24 percent higher than the national average. The biggest factor in this difference is housing. While home prices in Westmont are among the most expensive in the country, seniors can rest assured the cost of groceries, health services and utilities are slightly below average. Compared to communities of similar population and size across the United States, Westmont is safer than most. The violent crime rate is well below the national average, with a rate of one per 1,000 residents. Seniors have several options for public transportation, including Pace Suburban Bus, which operates three routes in Westmont. Pace Dial-A-Ride offers seniors door-to-door rides to appointments and errands throughout Downers Grove Township. For travel to Chicago, Metra’s BNSF line provides rail service between Aurora and Union Station. Seniors may apply for an RTA Reduced Fare or Ride Free permit. Westmont has an active arts-and-culture scene with over 100 restaurants and some of the most impressive special events in the western suburbs. The village hosts the Salt Creek Ballet, a classic car festival, Muddy Waters Blues Tribute and the largest barbecue competition in the Midwest. The Westmont area is home to world-class medical facilities, including Advocate Good Samaritan Hospital and Adventist Medical Center Hinsdale, in the event of medical emergencies or illness. Westmont has an array of community resources for seniors, including the Westmont Park District Senior Center, which offers art and fitness classes, educational speakers, holiday parties, travel opportunities, a senior chorus and a bowling league. Assisted Living costs in Westmont start around $4,290 per month on average, while the nationwide average cost of assisted living is $4,000 per month, according to the latest figures from Genworth’s Cost of Care Survey. It’s important to note that assisted living rates in Westmont and the surrounding suburbs can vary widely based on factors such as location, the level of care needed, apartment size and the types of amenities offered at each community. 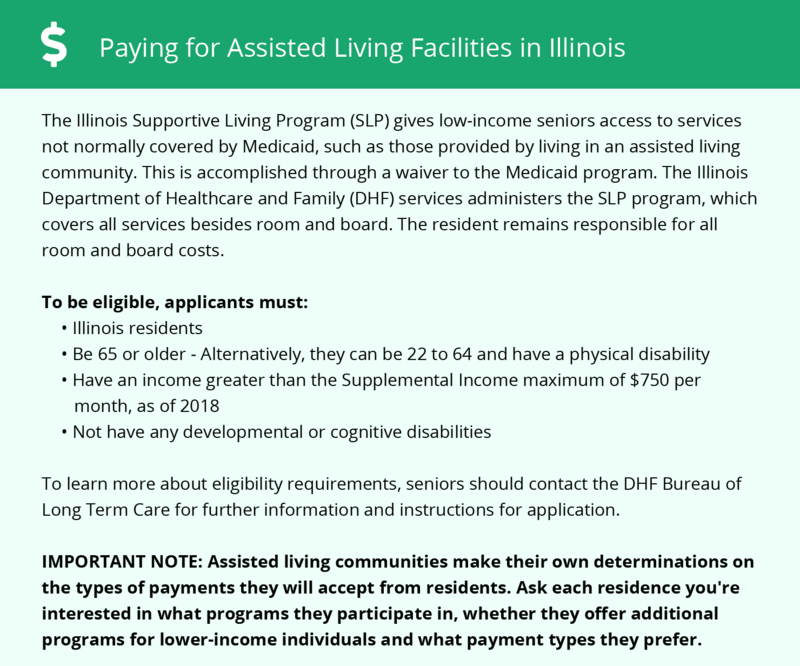 In Illinois, the HCBS Medicaid Waiver for Supportive Living Facilities helps pay for care services in some assisted living communities, but not room and board. To see a list of free assisted living resources in Westmont, please visit our Assisted Living in Illinois page. Westmont-area assisted living communities must adhere to the comprehensive set of state laws and regulations that all assisted living communities in Illinois are required to follow. Visit our Assisted Living in Illinois page for more information about these laws.